Customer Service Assistants are important as they’re the first point of contact for our customers. Our Coventry branches are friendly and supportive environments where every day is different. Our Branch Network is truly the heart of our customer service. We’re looking for friendly, helpful people who thrives on providing excellent service, to join our teams. Your main responsibilities will be completing transactions for our customers and supporting them with their enquiries. We give our customers clear and accurate information in a friendly, professional and efficient way. As you increase in confidence, you’ll work through an accreditation scheme moving you through the different levels of the role. You can own your personal development and grow with us. We have a reputation for excellent customer service and we really want to meet people who care about customers as much as we do. You’ll need recent customer service experience to be successful and a positive, flexible attitude. We’re looking for someone who has excellent communication skills and the confidence to talk to lots of different people. You’ll be able to deal with customers’ enquiries in a careful and accurate way. Here at Coventry Building Society, we’re proud to be a mutual building society and we’re committed to providing a first class service to our members. 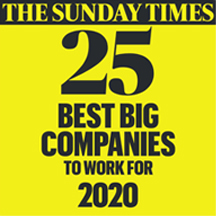 Our people are pivotal in achieving our mission and we’re embarking on an exciting journey to ensure our employee wellbeing is at the forefront of what we deliver as a function; after all, without our people, we wouldn’t be as successful as we are. We’ve also been proud holders of Gold Ribbons from Fairer Finance since they introduced them over two years ago. Fairer Finance helps consumers find a bank or building society that offers good service, not just a good rate.